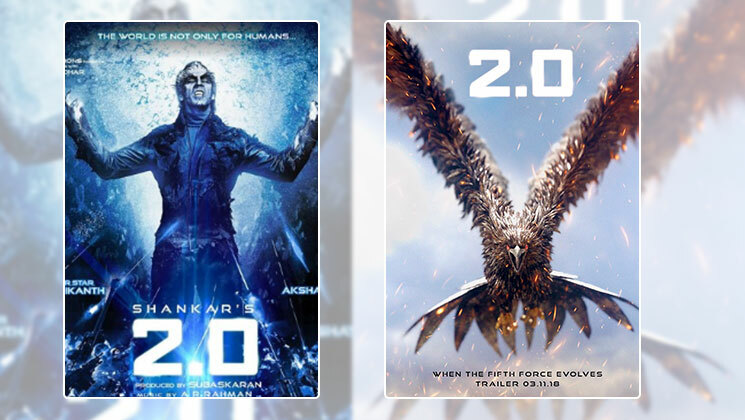 Akshay Kumar and Rajinikanth starrer ‘2.0’ is one of the most awaited films of the year and was touted as the most expensive too. It has been facing a number of setbacks due to the extensive VFX work causing a delay to its release. But now, the makers are finally gearing up for the release of the much-awaited project on 29 November this year. The teaser of the film was loved by fans who are now waiting for the trailer. It seems like their wait is finally coming to an end with the makers all set to unveil the trailer on November 3. Akshay Kumar and others took to their Twitter handle and wrote ‘The fifth Force is coming’. They announced the trailer release date of the film. Along with the trailer, the third song from the film is also expected to be launched. We are not sure what are they referring to with the term but maybe the meaning will be clearer after the trailer release. ‘2.0’ is the sequel of the movie ‘Robot’ (‘Enthiran’ in Tamil) which featured megastar Rajinikanth in a double role, as a scientist and a Robot. The movie had also starred Aishwarya Rai Bachchan. The second installment sees Rajinikanth once again depicting the dual role with Akshay Kumar as an antagonist. The sci-fi drama also features Amy Jackson, Sudhanshu Pandey, Adil Hussain and Riyaz Khan in pivotal roles.